We want to create better content on steem by having great questions and answers. To that end we are launching a promotion where you can earn part of 100 STEEM reward simply by asking a question. It’s that simple. In order to win the reward you must put a bounty on your question. You can do this either by using steem-bounty.com or by sending STEEM or SBD to @steem-bounty account (more how this works here). You can earn the bounties by going to steem-bounty.com and find questions and challenges you can answers. Simple add your reply as a top level comment to the original post. Make sure to give your answer its own top level reply as reply to comments are not taken into account for the bounty rewward. If your answers are good enough to earn you upvotes from the bounty creators you will earn the bounties. Participating is simple, just create a publication by asking a serious question or riddle. It can be any type of publication in which you would like to know an answer. Then, offer a reward with at least 2 SBD or 2 STEEM to the @ steem-bounty account. Finally, copy the link of the post and put it in the comments in this publication. Note: The final date to send your comment is the sixth day of this publication. I will offer a reward in this publication for a total of 100 STEEM. Those who meet the provisions each week will get a positive vote of 1-10% of the reward that will result in rewards of 1-10 $. If it is shared through social networks (steem-bounty.com urls only) 2% additional votes. We will announce the winners after each week. STEEM-BOUNTY, is a project aimed at rewarding Steemit users, created by @knircky and @famunger. 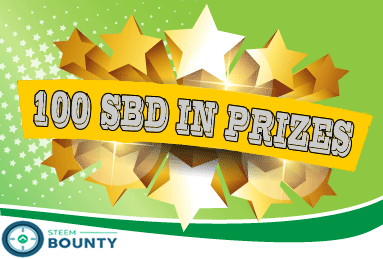 This application works by sending an amount of SBD / STEEM referenced to a publication considered as a reward that will be distributed to users through the vote of the author to those who correctly answer the question, doubt, contest, etc. This tool works independently of the blockchain and also of SteemPower. Collaborator of the Steem-Bounty project. I Tweet it on my twitter account . Its not mandatory to write a post bye using steem-bounty.com. But if anyone use it he will get a special opportunity for this bounty ..
Of course you can! Its a regular steem post! I assume you are looking at this on steem-bounty.com. If you log in you can reply. You can also open the post in steemit.com or busy and respond there. 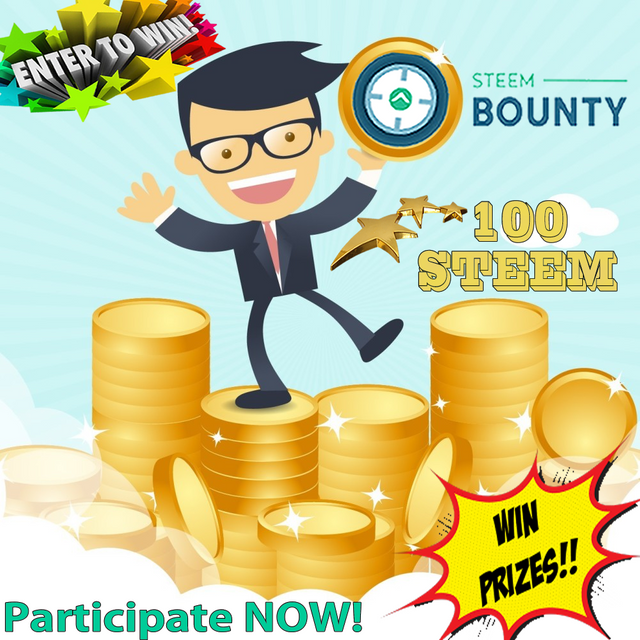 @prince121 I congratulate you for your participation, you are a role model, you use the @steem-bounty reward application, you share the publication on social networks, and you also use the post link from steem.bounty.com. We are waiting for you in the next promo bounty post. Thanks .. Its my pleasure..
Would you like to join the leagues? I've been adding a bounty for months now, and find them an excellent way to encourage engagement. I call @balte @stayoutoftherz @twinner @vieanna @stehaller @roy2016 @mundharmonika @schamangerbert @maarnio @mike-tr @lotto-austria @reiseamateur @maxpatternman for participating as well! Actually I was planning to write this post in German, but after seeing yours I decided to do it in English and set up a Bounty to learn about other Steemian's voting behavior. Great initiative my friend, good luck for the future and a great week to come. If you add the tag # asa in your question post, I will upvote it. Dear my friend @jmhb85, thank you to set your wonderful contest again, you are the example of all whales should follows! This is my post connect with your contest: https://steemit.com/steem-bounty/@intellihandling/wtf-i-will-be-able-to-post-with-such-rc. I am sorry if i cannot set a bigger bounty to it due to my financial situation, but i promise to set the amount i will got from this wonderful contest in the next bounties i will could make. This looks really fun. Great intitiative, you two, @knircky and @famunger. I'll check this out and try it. Thanks to the @knircky and jmhb85 for making this kind of contest. It's been a veeeery long while since I hosted a contest. one that I'd be willing to try out! Answer for a bounty of 2.000 STEEM! Thanks for the contest. I look forward to reading the other entries questions. @xyzashu I congratulate you for your participation, you are a role model, you use the @steem-bounty reward application, you share the publication on social networks, and you also use the post link from steem.bounty.com. We are waiting for you in the next promo bounty post. Thank you! Already looking forward to next promo. What's your favourite foodmodel? It's a #foodmodel contest. As a plankton, I was so frustrated about the hf20 as it is blocking me from engaging and commenting other's posts. With a tiny SP, mY rc was decreasing at an evil rate. I researched and found that only making more and more sp on my account is the only legit way to survive hf20. 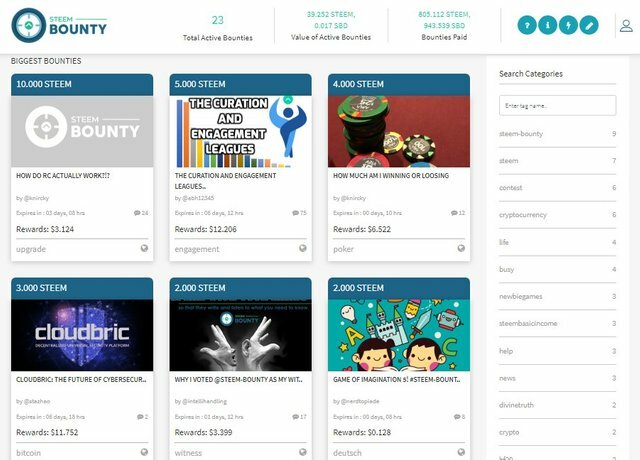 Now steem bounty is a very unique and profitable opportunity for me to gain rewards... And make more sp! Why not... No ones wanna stay as a plankton forever! Right? Yes my friend! You are totally right, we are here to set bounty for user who need help and for me too because as i can help with small amount, others like @jmhb85 and @knircky are setting bigger bounty for us. Anyway it is important to answer properly, because stupid answer can be downvoted and do not get anything and this is very good against spammer. I am sure here in this family there are not spammers and we like to grown together and if your reputation is 50 it means you are good steemitians! I hope I'm not too late to participate. Would you visit South Africa in the next 10 years? @shadown99 I congratulate you for your participation, you are a role model, you use the @steem-bounty reward application, you share the publication on social networks, and you also use the post link from steem.bounty.com. We are waiting for you in the next promo bounty post. Wow, thanx a lot... This means a lot, because i had this acc for a few months but only started posting for about a week and receiving this kind of feedback gives me inspiration to do more. What do you like about Christmas🎄? This is a very good initiative to encourage engagement through questions and answers. Great job! I've put bounty really easy but interesting question. Hope so everyone would like to participate in my post. Cheers!!! Hello @jmhb85, thank you for sharing this creative work! We just stopped by to say that you've been upvoted by the @creativecrypto magazine. The Creative Crypto is all about art on the blockchain and learning from creatives like you. Looking forward to crossing paths again soon. Steem on! Omg! !1 Thank you so much!!! I love Steem-Bounty!! Good contest I search for heavily!! I want to ask @jmhb85 what are gaining by this contest?. Cause i noticed like two weeks ago you also gain out 100 sbd for this same stuff. 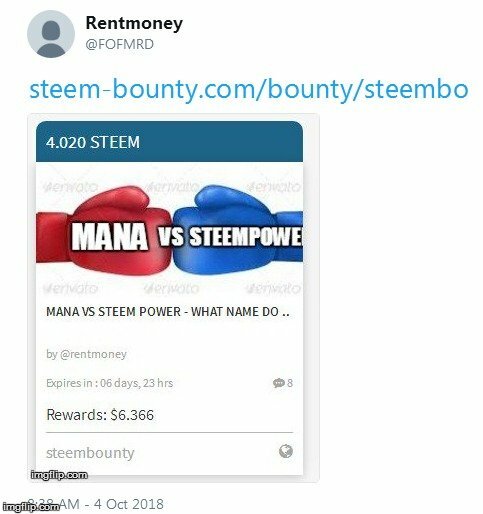 Or is it a way of promoting awareness for @steem-bounty? Promote the steem-bounty application and promote its use rewarding those who do, I invite you to try it in your next post. I like Steembounty. It's the best way to get attention to your posts without using upvote bots that take away a big part of the rewardpool and damage the Community. The votes coming from bots only compete for 5% of the reward, 95% depends on the criteria of the author of the reward. So good to know more about @steem-bounty now. Just read an article by @simplymike about it and tried to get deeper into information on this cool project. Just figured out you have an amazing website. Stumbled upon a link, had no idea there is one. Good to know! @jmhb85 has set 100.000 STEEM bounty on this post! You will feel great with #Nexty. NTY value increases due to prevalence, community acceptance, and ecosystem expansion.